There have been few studies of the impact of intensive home-based early applied behavior analysis (ABA) intervention for children with autism on family functioning. In the present study, behavioral adjustment was explored in 78 siblings of children with autism on ABA programs. First, mothers' ratings of sibling adjustment were compared to a normative sample. There were no reported increases in behavioral adjustment problems in the present sample. Second, regression analyses revealed that social support functioned as a moderator of the impact of autism severity on sibling adjustment rather than a mediator or compensatory variable. 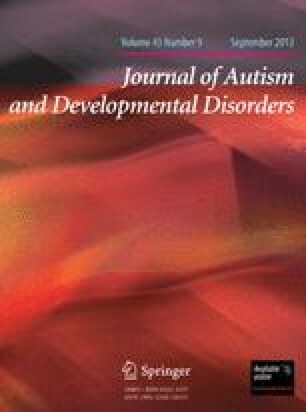 In particular, siblings in families with a less severely autistic child had fewer adjustment problems when more formal social support was also available to the family. The implications of these data for future research and for practice are discussed.